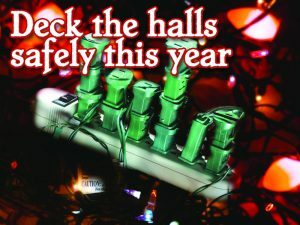 Holiday Safety Tips ~ E C Cooper, Inc. Protect your home during the holidays from fires, winter weather, and burglary. What can you do to be more prepared? Don’t post your travel plans online. This may be hard during the holidays, but don’t post information about scheduling, when you are leaving, or when you will be back. This is prime information for burglars. Inform a trusting neighbor when you will be out of town and let them know of anyone who is expected at your home while you are away. Your neighbors can keep an eye out for any unexpected visitors. A friend, family member, or neighbor can stop by to keep snow clear, and an eye on the mail. This can help make it look like someone is home. Keep your presents and valuables safe. Don’t leave packages outside and try to keep presents out of site. Putting presents under your tree looks nice, but if they are by a window, this can be an open invitation to thieves. You can also inform delivery people of special instructions on where to leave packages. Consider a package locker or a drop box to keep larger packages out of sight until you can bring them inside. Decorate carefully this season. Avoid possible electrical fires and other home fires brought on by an open flame. 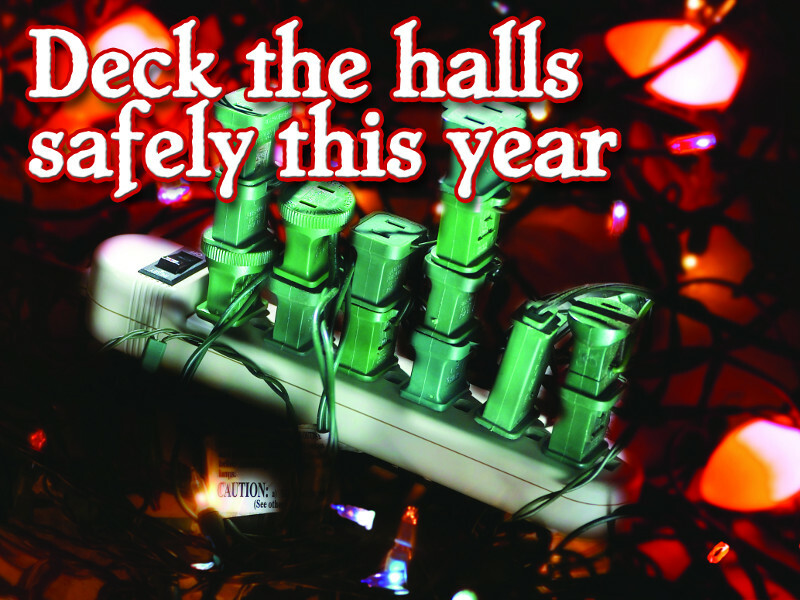 Inspect your Christmas lights to make sure there are no broken bulbs or frayed cords. It is safer to use electric candles for decoration rather than an open candle flame. Keep your tree watered as fire will spread quickly on a dry tree and don’t connect more than three strings of lights to one single extension cord. Check all smoke alarms to make sure they are all functioning safely. The colder weather can lead to using a space heater, an indoor fireplace or woodstove. Never leave a space heater or fire unattended especially with children or pets in the home. Move flammable materials away from the heat source and avoid using a space heater if it has an exposed heating unit or wires. Have your heating sources inspected and serviced before the cold weather approaches. By staying on top of your maintenance outside of your home, you can help safeguard your property from possible winter weather damage. By keeping your gutters clear you can prevent damage from ice and you can allow melting ice and snow to drain properly rather than seeping into your home and causing water damage. If you have trees in your yard or close to your home, make sure you have properly removed any dead branches to avoid debris and any possible damage to your home, car, or individuals. Stay ahead on upkeep on stairs, railings, and decks. Small issues can become larger or more dangerous when covered in ice and snow. You can use caulk to seal cracks and openings to prevent cold air from entering your home or warm air leaking out. Remember, the holidays are a time to enjoy family and cozy up next to the fireplace on a snowy day. During this busy and merry time, we can’t overlook simple precautions to ensure that your home and your family are safe this winter season. Enjoy your holidays and be safe.